Manchester United are expected to announce the signing of Alexis Sanchez quite soon, according to The Express. The 29-year-old has been ever closer to a move to Old Trafford after United accepted to pay his wages north of £450k per week. The bottleneck of Henrikh Mkhitaryan accepting to move to Arsenal has now been sorted out, paving the way for Sanchez to become a Manchester United player. Initially favoured to join Manchester City, United trumped our bitter rivals with a better wage packet for the Chilean who knows that with him turning 30 later this year, this represents his last major contract as a football player. News emerged earlier this week that Sanchez was made to train with Arsenal academy players, a pointer to the fact that an exit is imminent for the player. The number 7 jersey is being prepped up as the number he will wear at our club, and the fact that Jesse Lingard welcomed him to Old Trafford in a playful way on Thursday means that it is a mere formality. He may not be eligible to play against Burnley on Saturday as he has to be registered by 12pm today, which is no longer the case, as we still haven’t announced his signing. Sanchez has been talked up by Jose Mourinho as a truly phenomenal player who will offer us quality in the second half of the season. The fact that he will be eligible to play in the Champions League is an added sweetener. 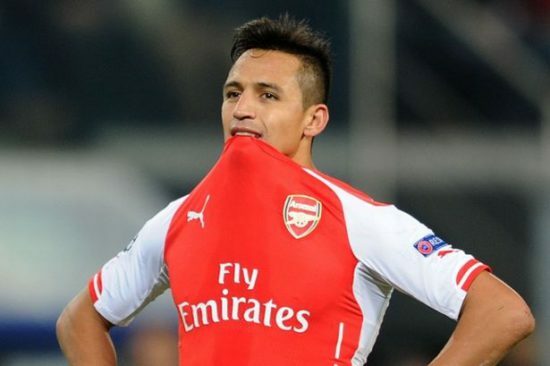 Sanchez is an attacking midfielder that can also play as a striker and anywhere across the front three. He is a committed player that will offer goalscoring and creativity threat to any defence in the division. He was signed for £35 million from Barcelona by Arsenal and has since gone on to make 165 appearances for the Gunners, scoring on 80 occasions.